…”She is a soloist by nature but also a fine chamber musician always ready for new challenges…”-Hans Pålsson. Pianist Julia Sigova has established herself as an artist of energy , temperament,a musician with the sence of fine nuances of tone and deep musicality. Since Julia's debut with The Malmö Symphony Orchestra in 2010,she became one of the leading female concert pianists in Scandinavia.She has been invited to perform at many prestigious festivals and venues including La Biennale in Venice,Societa dei Concerti in Milano,Satie Festival in Paris,Britt Music Festival in Medford,Båstad Chamber Music Festival and Music in Tagaborg in Sweden,St.Martin in the Fields in London among others. Musicians and conductors with whom Julia has had the pleasure to perform with include Håkan Hardenberger,Susanne Resmark,Mats Rondin,Marc Soustrot and others. Julia has won many awards and scholarships .In 2008 she was awarded the prize as the Best Pianist in the Öresund region,and in 2011 she was chosen as the Best Female Classical Artist in Sweden by Fredrika Bremer Foundation . In December 2018 Julia released her first album "Russian Piano Music" for Italian label Classical Dal Vivo. Born in Minsk Belarus, Julia started to play piano at the age of 6. After finishing Glinka Music High School in Minsk she was invited to study at the Malmö Academy of Music in Sweden where she also did her Soloist Diploma with prof. Hans Pålsson. Julia also studied at the Sibelius Academy in Helsinki for prof. Juhani Lagerspetz. She continues her education as a soloist under the guidance of prof. Konstantin Bogino in Bergamo and prof.Norma Fisher in London. 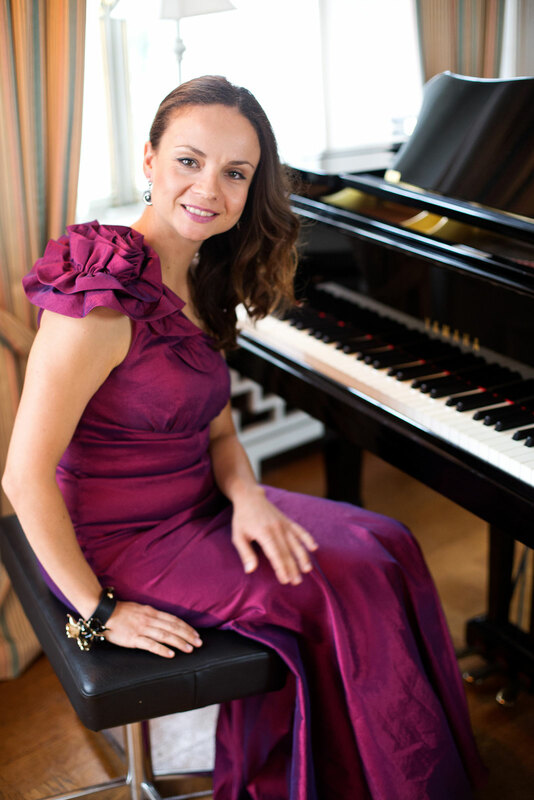 Besides her solo career Julia also find the time for teaching.She is a founder of the International Piano School "Sigova PianoForte" in Malmö ,Sweden .Her students are regularly invited to participate at festivals in Sweden and abroud. Some of them have won international competitions.